Douglas Schuler has been working with communities and technologies for nearly 30 years. 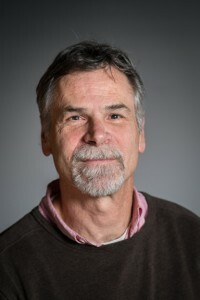 He is co-founder of the Seattle Community Network, a free public access system launched in 1993, and the organizer of nine Directions and Implications of Advanced Computing (DIAC) symposia sponsored by Computer Professionals for Social Responsibility. He has worked on deliberative systems for many years including e-Liberate, an online system that allows people to conduct distributed meetings using Roberts Rules of Order. Doug has been a professor at the Evergreen State College for nearly 20 years. For the past three years he has been convening the Civic Intelligence Research and Action Laboratory where students collaborate to develop and implement their own research and action projects. 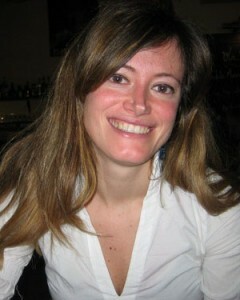 Fiorella De Cindio, associate professor in the Department of Computer Science at the Università di Milano, currently teaches Internet-based Social Interactions and Digital Citizenship and Tecnocivism (with Andrea Trentini). 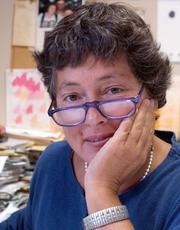 In 1994, she founded the Civic Informatics Laboratory and RCM, the Milan Community Network. Since then her research has focused on online community/networks, their design, implementation and deployment in real-life settings. She supervised the development of openDCN, a software platform for supporting civic participation and deliberation. Since 1998, she chairs the RCM Participatory Foundation. Her activity in the community earned De Cindio the City of Milan’s Ambrogino d’Oro award in December 2001. Anna De Liddo is Research Fellow at the Knowledge Media Institute of the Open University (Milton Keynes, United Kingdom). Her research focuses on the socio-technical factors influencing the design and uptake of Online Deliberation and Collective Intelligence infrastructures. In the last 10 years Anna chaired 8 Collective Intelligence workshops, events and research initiatives hosted at prominent HCI conference venues such as CSCW (2012) and C&T (2013) . These workshops and initiatives place her at the core of an international research network on Collective Intelligence and Online Deliberation. Between these initiatives worth of mention is also the ODET 2010: Online Deliberation Emerging Tools workshop, co-located with the Fourth International Conference on Online Deliberation . Currently Anna is Principal Investigator of the Catalyst project , aimed at developing Collective Applied Intelligence and Analytics for Social Innovation, and the EDV project , which aims to produce advanced video replay of the televised UK election debate.